BRUSSELS, Belgium, 2018-Jul-05 — /Travel PR News/ — Radisson Hospitality AB, publicly listed on Nasdaq Stockholm, Sweden and part of Radisson Hotel Group, is proud to announce the signing of a new Radisson hotel in Abidjan, Ivory Coast. The Radisson Hotel & Apartments Abidjan Plateau signing brings the group’s Africa portfolio to 86 hotels and almost 18,000 rooms in operation and under development. Abidjan is one of the most populous cities in Africa and the largest business hub in the Francophone Africa. Radisson Hotel & Apartments Abidjan Plateau will be located on the Boulevard de la République in the heart of the Plateau – the central business district – allowing easy access across the city for guests visiting for business and leisure. The 152-room Radisson Hotel & Apartments Abidjan Plateau is a new construction and scheduled to open in 2021, offering 122 standard rooms, 24 one-bedroom apartments and six two-bedroom apartments. Other facilities include an all-day dining restaurant, a specialty restaurant, a sky bar and fitness room. The city’s largest conference space will have eight meeting rooms over 1,000 sqm area. 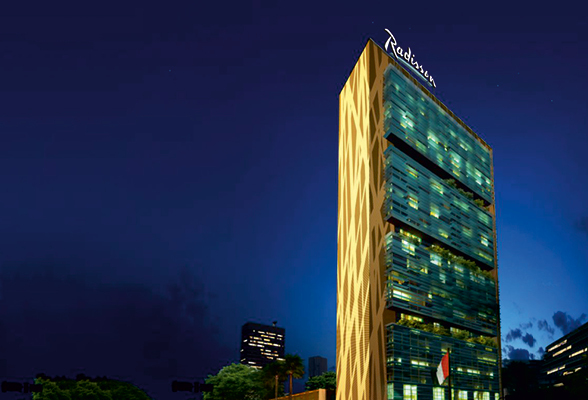 Radisson Hotel Group™ (formerly Carlson Rezidor Hotel Group) is one of the world’s largest hotel groups with eight distinctive hotel brands, more than 1,400 hotels in operation and under development around the world. The Radisson Hotel Group portfolio includes Radisson Collection™, Radisson Blu®, Radisson®, Radisson RED®, Park Plaza®, Park Inn® by Radisson, Country Inn & Suites® by Radisson and prizeotel. Guests can benefit from the newly rebranded Radisson Rewards™ (formerly Club Carlson SM), a global rewards program that delivers unique and personalized ways to create memorable moments that matter to our guests. Radisson Rewards offers exceptional loyalty benefits for our guests, meeting planners, travel agents and business partners. Radisson Meetings™ offers a variety of fully-equipped spaces featuring fast free Wi-Fi, A/V technology and on-site contacts designed to make every event unique. More than 95,000 global team members work for the Radisson Hotel Group and at the hotels licensed to operate in its systems. This entry was posted in Hospitality, Hotels, Resorts, Travel, Travelers and tagged Abidjan Plateau, Elie Younes, Ivory Coast, Mohamed Ben Ouda, Radisson, Radisson Hotel & Apartments. Bookmark the permalink.